Are you optimising for mobile devices? One in three Americans now own a tablet according to recent research from the Pew Research Centre. It’s just another confirmation that if your website isn’t optimised for mobile devices then you’re waving goodbye to customers at a frightening rate. Further research from Net Applications found that mobile browsing – smartphones and tablets - had tripled from 2011 to 2013 to account for 13.2% of all website visits. And the people who own tablets are important to businesses – half of adults aged 35 to 44, half of high income households and half of those with college degrees. Google, which has declared itself a ‘mobile first’ company, took a look at what that means for businesses last September. They found three-quarters of people were more likely to return to mobile friendly sites and two-thirds were more likely to spend money with the site’s owner. And, if you’re not mobile optimised then 61% of users will simply move on if they can’t find what they want. 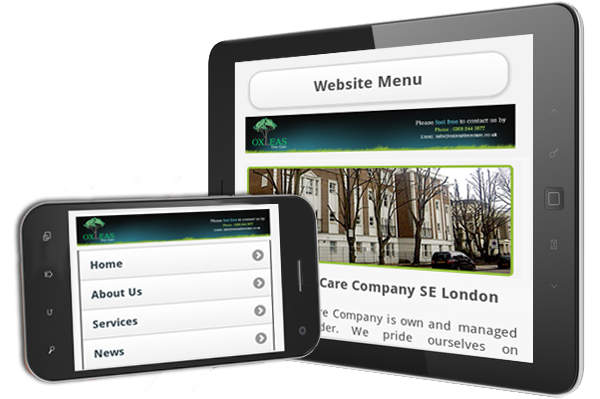 Half of browsers said that they will use non-mobile optimised sites less often, even when they like the business. Toolkit Websites can help you reach that audience, and stop waving goodbye to mobile customers. This is not a trend that shows any sign of changing, in fact it’s only likely to get bigger and faster, so that Google’s discovery that 72% of browsers prefer mobile-friendly sites is likely to be 100% of consumers demanding them soon. As long ago as 2008, analysts were predicting that mobile browsing would outstrip desktop web use by the end of 2014, before the exponential growth in smartphones and tablets really took off. At the end of 2012, Amazon had seen an 82% rise in the number of mobile visitors, you can’t afford to say goodbye to these consumers and Toolkit Websites can help you make their visit to your site a pleasure that they’ll want more of. If you’d like to speak to our friendly, expert team about mobile optimisation and mobile conversion for your website, just call us on 02380 633 644. Find out more about Toolkit Websites, Web Designers based in Southampton, Hampshire, UK and how they can help your business grow.